Tomorrow, Wednesday 20th August 2014, I’m appearing at the Edinburgh Fringe Festival performing, for the first time ever, my autobiographical one-man show, My Escape from Fundamentalism. On Thursday I’m at Merseyside Skeptics. And then next Tuesday I’ll be speaking in Dover about Dover School for All Nations, which you should know about by now. Much has happened since I last wrote about it. Pieter Van Rooyen has died, which is very sad for his family and friends, but the school he founded continues under new leadership, which is very sad for everyone else. Here’s the press release ahead of my talk, which will be the first ever Skeptics in the Pub to take place in Dover. I’ve also invited the leadership of Dover School for All Nations to come to the talk and have right of reply. I very much hope they will accept. A former pupil of the controversial ‘Accelerated Christian Education’ (ACE) curriculum will be giving a public lecture on August 26th, ahead of September’s expansion of the Dover School for All Nations (DSFAN) ACE faith school. This is a guest post by Talen Lee, a former ACE student from Australia. This is his survivor story. Be warned, it contains unpleasant descriptions of corporal punishment. If you’re a familiar reader of Jonny Scaramanga’s blog, you probably already know that the ACE system promotes false information as fact. These are glaring factual errors that honestly shouldn’t even be up for debate. When you’re talking about errors that run throughout the entire ACE system to this degree, you have to come down very hard on one side or another. Either you think it’s not acceptable to teach blatant falsehoods in an education system as facts, or you think that it is, and if you’re in the latter camp, I am comfortable dismissing everything you have to say about education at all. Bickering about specifics like flipping mountains or universal floods or six day creationism is just trying to blow out matches while the house is on fire. I have no patience to deal with this penny-ante apologism, this horsecrap refining, where people want to argue how the precise details about some fossils may indicate a sort-of-weakness in evolutionary theory when we’re discussing a book that tries to tell me that the Loch Ness Monster is real. There’s also a long discussion you can make about how its system is pedagogically useless. Repetition of simple exercises without complexity serves no purpose but to teach how to overcome those exercises, in the same way that memorising dates doesn’t actually make you a historian. You could discuss the ACE system’s political indoctrination. I know that as an Australian consumer I wasn’t particularly keen on reading books that told me about how America was, in fact, the greatest nation in the world, and the only place where people were free. After all people weren’t free in America – if you wanted to buy one, you had to pay for it. Turns out you’re a miserable lot, readers of Leaving Fundamentalism. Monday’s blog post was the biggest piece of good news I’ve ever posted, and it was the least popular blog of the year. So alright, fine. Have some bad news. And some good news: you can help. 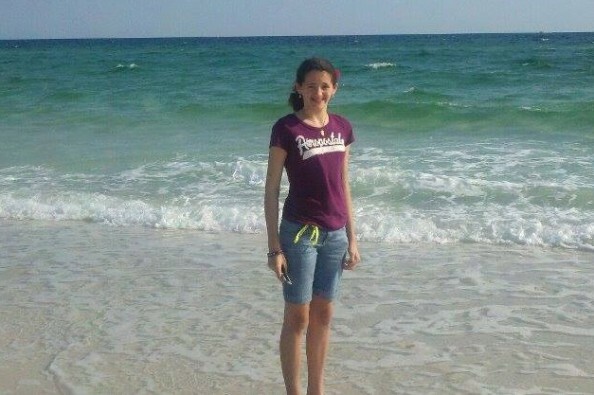 14-year-old Skyler is being held at Marvelous Grace Girls’ Academy in Pace, Florida (MGGA). Her parents are divorced, and her father has put Skyler in the home against her mother’s wishes. Her mother, Silke Matero, has a custody/visitation order to see her daughter. MGGA, however, refuses to let Silke see Skyler. It’s a residential reform home for ‘rebellious’ girls, and during their year-long stay, girls have no contact with outsiders except through letters and phone calls which are monitored by staff. EDIT: Silke informs me that girls can receive visits from family after four months, if they have received no demerits. My own experience in an ACE school suggests that going four months without demerits is no mean feat, however. MGGA is one of the ‘troubled teen’ reform homes I’ve blogged so much about. The existence of these homes is a stain on the free world. In fact, if people who are supportive of normal ACE schools would speak out against them, it would do their cause a great deal of good. Right now, their silence (and ACE’s supplying of curriculum to places like Marvelous Grace and Hephzibah House) looks a lot like complicity. There was a little girl with serious mental health problems. She was about 12 when she came in and was on a bunch of medication for her problems that she truly needed. They took her off all meds and said they could help her better than the medicine. She always looked like she didn’t know what was going on and she didn’t understand why they were treating her the way they did. I remember one time where myself and other girls and staff members were made to stay up with her until about 4 in the morning and force her to stand in a circle of masking tape on the floor. If she got out of the circle or didn’t comply then we had to push her back in. If she kept misbehaving then we had to put her into an ice cold shower with all her clothes on while she screamed. She was always in trouble and yelled at for no reason at all. You could tell that there was something wrong with her and that was not the place she needed to be. She couldn’t even talk that well and we could barely ever understand what she was saying sometimes. They pretty much just treated her like crap and blamed her for it because she wasn’t “right with God” according to them. It was awful and I felt very bad for her. The headline of Friday’s Daily Telegraph screamed “Toddlers at risk from extremists“. The British Education Secretary has announced plans to ban teaching creationism is publicly-funded nurseries. What it didn’t say is that, although the British Humanist Association (BHA) was the most prominent campaigner against creationism in nurseries, this was originally the subject of a letter-writing campaign by the readers of Leaving Fundamentalism. But I know you wrote the letters, so thank you. Here’s a brief history of what has happened, and what it means. More importantly, an article in the TES last week may explain why ACE schools have been able to get away with so much. Five weeks ago, this blog asked “Are ACE schools using misleading advertising?” Now, according to the Advertising Standards Agency, the answer—in at least one case—is yes. To explain why this ruling is so important, though, we need to travel back in time to when I was at school. Norway banned ACE. Could the UK follow? Could ACE ever be banned in the UK? We’ve occasionally looked at this question in the past on Leaving Fundamentalism, but I’ve most recently argued that it would be better not to ban them. As I said in my New Statesman article, it would be preferable to see the schools improving themselves, encouraged by a more thorough inspection regime. It may be, however, that this is just never going to happen to a sufficient extent—ACE’s supporters hold their beliefs too rigidly ever to change their minds. Then what? In Norway in 2001, the answer was to ban part of the curriculum, but not for the reasons you might expect. It wasn’t creationism, or right-wing politics, or religious teachings that got ACE Norway into hot water. It was sexism. Many of the same international laws that influenced the decision in Norway also apply in the UK. To understand whether this could happen here, we have to look at the Norwegian situation. Education Minister Trond Giske emphatically put his foot down over the equal opportunities curriculum used by ACE schools when he spoke at the Norwegian national conference for teachers on Tuesday.